If you’ve ever had cause to buy a pair of boots, chances are you’re familiar with the Ti﻿﻿﻿﻿﻿﻿﻿﻿﻿﻿﻿mberland brand. Known for their quality, fashionable styles, and eco-friendly attitude, they’re a well-known retailer of both casual and work boots. But are they really as good as they seem? 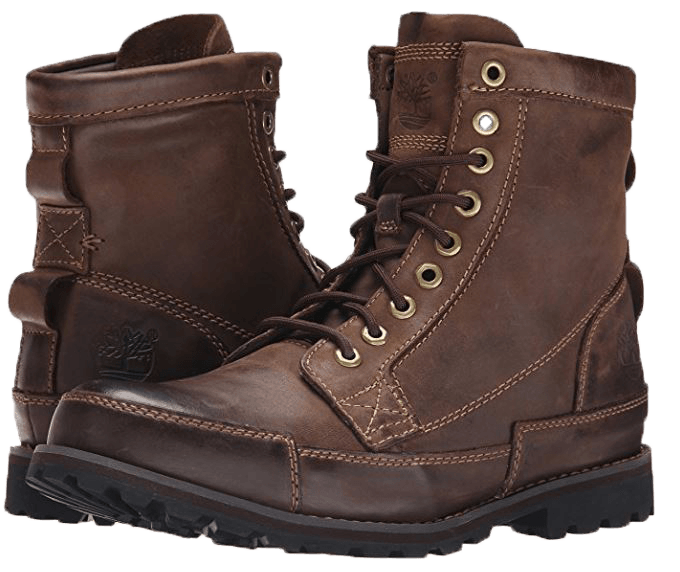 Today, for our Men’s Timberland Earthkeepers review, we’re going to investigate the popularity of their flagship boot style, the Timberland Men’s Earthkeepers 6” Lace-Up Boot. We’ll also see how they compare to other Timberland boots, and hopefully answer some of your questions along the way. These boots are perfect for anyone looking for comfortable, stylish footwear that provides good support while you go about your daily routine. Lightweight and stable, you’ll have no trouble standing on these all day. Not a good outdoor work boot. 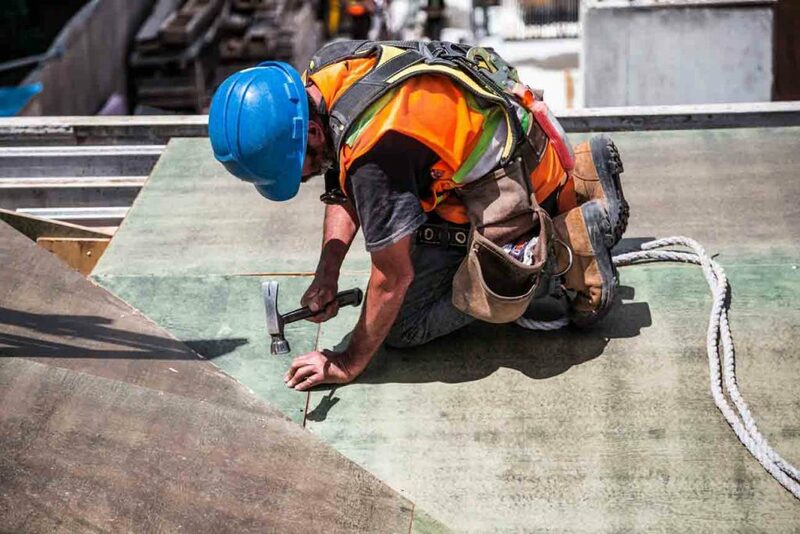 We do not recommend Earthkeepers for heavy-duty work like construction. 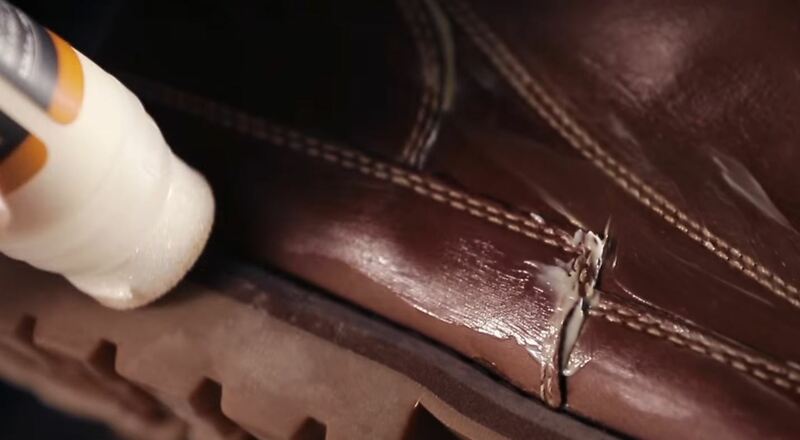 Some complaints about durability may mean this boot isn’t for you. How do Timberland Earthkeepers Actually Hold Up? Who Should Own Timberland Earthkeepers? Do Earthkeepers Work for Winter and Snow? 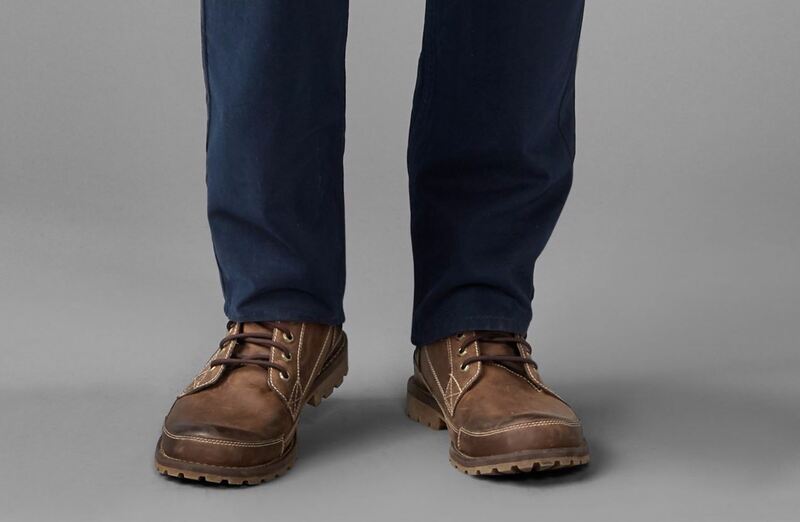 Could Earthkeepers Be Used for Work Boots? Do Earthkeepers make for Good Hiking Boots? Full-grain leather is considered the most durable type of leather, which means the uppers of the Earthkeeper boots will last you a good long time, especially if you treat them with leather oil now and again. The recycled aspects of the Earthkeeper boots, from the PET lining to the rubber outsole, may be important to you if you’re interested in your carbon footprint. The recycled rubber of the outsoles is advertised to provide good support, durability, and traction. The removable anti-fatigue footbed may be the best feature of the Timberland Men’s Earthkeeper boot. If you’re looking for arch and ankle support, or need a boot to wear all day that will keep your feet from feeling sore, the anti-fatigue footbed can make all the difference. Making the footbed removable so that you can replace it with your own preferred support padding is a nice touch. Comfort (5/5)﻿: Between the high uppers that cradle your ankle, to the anti-fatigue footbed that provides comfort for your arches, these boots can be worn all day without feeling soreness. The soft leather makes them flexible, while still providing support. They’re perfect for walking or standing. Safety (﻿﻿4﻿﻿﻿﻿﻿﻿﻿﻿/5)﻿﻿: Due to the support, stability, and good traction of the outsole, most consumers find these boots to be quite safe to wear. Durability (3/5): Conflicting reports abound for the durability of Timberland Men’s Earthkeepers. Some claim they have had their boots last them for years, while others have had them fall apart in months. The most common complaints are broken laces, the soles falling off or compressing over time, and broken stitching. Waterproofing and Insulation (3/5): While these boots have been reported to do well in cold, wet climates, the waterproofing and insulation only go so far. The inch lift you receive from the rubber outsole keeps you dry by raising you above water, but sloshing through puddles will give you wet socks pretty fast. Consumers like the boots for how well they breathe, but in cold weather they aren’t very useful in keeping your feet warm. Supp﻿﻿ort (5/5)﻿﻿: The support of these boots is their defining feature. Even those who found fault with other aspects of the boot can’t complain about how good they feel on their feet. If you’re looking for good arch and heel support, or boots that you can wear while standing all day long, you’ve come to the right place. Style and Look (5/5): They go with jeans and khakis, and are often worn to casual business meetings and dates. Having three different colors to choose from allows customers to pick the boot that they feel looks the best and goes with their personal style. Price (3/5): One of the biggest complaints of the Earthkeeper boot is how expensive it is compared to other boot brands of similar height and make, particularly given its questionable durability. 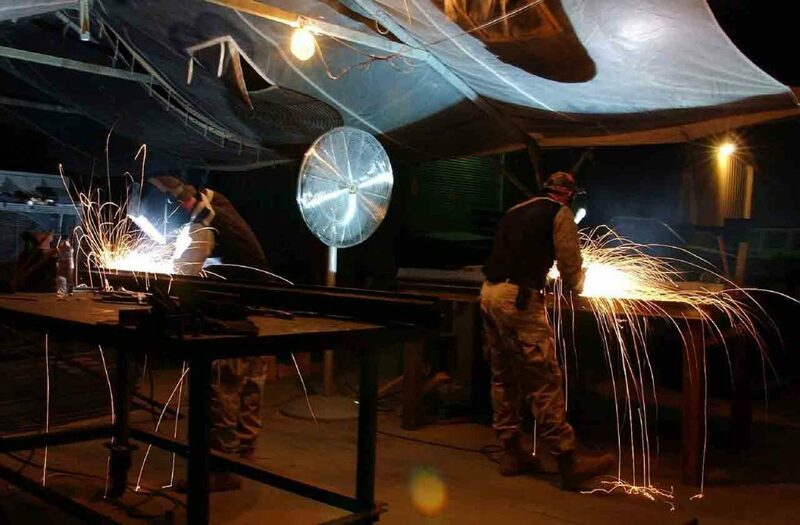 However, given the comfort, quality of the materials used, and the manufacturer's desire to be eco-friendly, it might be worth the extra expense. 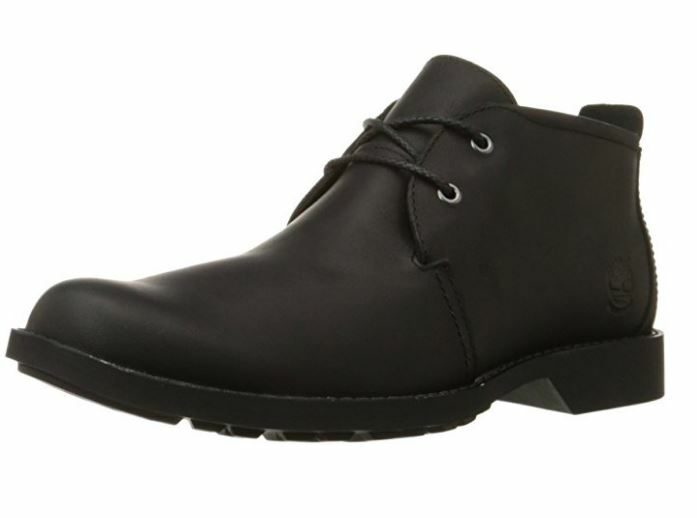 Weight (4/5): These boots are fairly lightweight, which makes them perfect for everyday wear. One men’s size 9 boot weighs about 1 pound, 3 ounces, to give you an idea. We’re really fond of how nice the Timberland Earthkeepers look with both casual and semi-casual clothing, and we appreciate the value of a comfortable boot. Good ankle and arch support can be hard to find in everyday footwear, and we really like being able to substitute different orthopedic inserts if we need to. Being able to find not only a supportive boot, but one that looks great and goes with just about anything, is like hitting the jackpot. These boots can be worn in any setting, from walking down busy city streets to meandering through your local home and appliance store. We also like that they are sturdy enough to be worn outside should we need to do a little lawn maintenance or wish to take a casual hike up a mountainside. Though not a big deal to everyone, we like having the option of a boot that keeps the environment in mind. Unfortunately, the Earthkeeper boots are not without their problems. 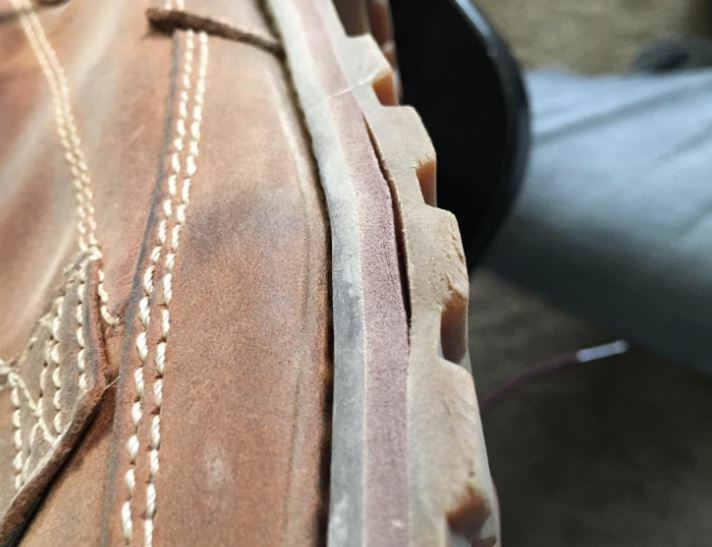 The poor durability of the outsole and stitching raises some concerns, especially when you consider how expensive the boot is compared to other brands with similar styles. 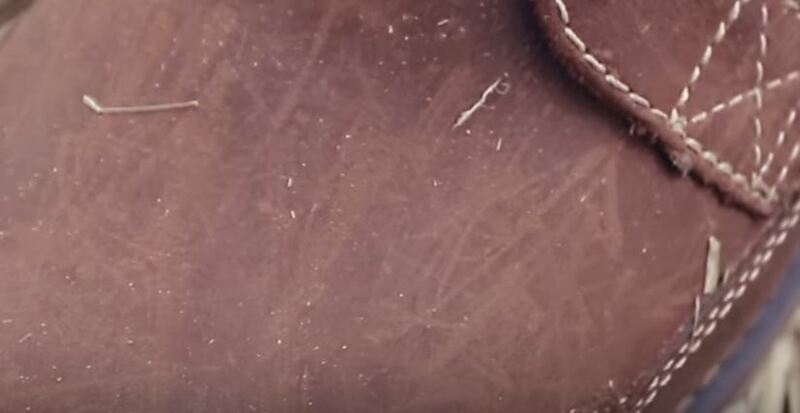 "Some customers reported that after a while of wear, the sole ﻿begins ﻿to come apart from the boot.﻿﻿Poor ﻿﻿outsole durability is a bit disappointing for this great looking, comfortable boot"
The leather of the uppers is also hard to keep clean and free of stains, and requires routine maintenance to get the most longevity out of the boot. Some of us just don’t have that kind of time to waste on caring for our footwear. "Can easily stained if you don't do the required maintenance of your boots "
We also have some complaints about sizing. Timberland boots tend to run large, and it is recommended that customers go down one size from what they would want in a sneaker. However, some consumers have reported only having to go a half size down, while others have had to go a size and a half down. "This difficulty in sizing can be a pain, especially when ordering online. 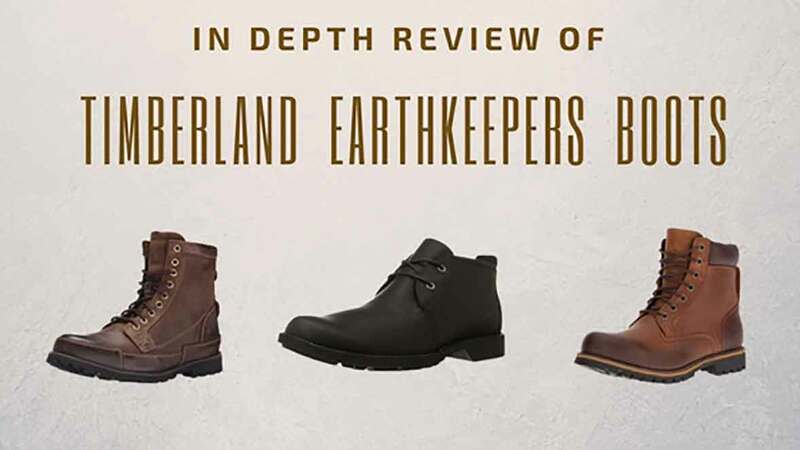 We recommend you to order one size down"
After reviewing the Earthkeeper boots, it’s pretty clear that they’re meant for a few specific kinds of use. If you’re looking for a boot you really like the look of, while going about your daily life, this is the boot for you. If you work in an environment where you’re on your feet all the time, the lightweight, stable support and comfort of these boots can help prevent you from ending your shift with sore feet and back. You may be able to get away with hiking in these boots, though they aren’t marketed for that kind of wear and may cause the boot to have a shorter lifespan. We do not recommend these boots for heavy outdoor work, like in construction and agriculture. The soft leather, while comfortable for more relaxed activities, does not provide the ample protection of hardier work boots. If you wouldn’t wear sneakers on the job, then you definitely wouldn’t want to wear these Earthkeeper boots. Not very. You can walk with them in the rain and keep your feet pretty dry, but don’t step in any puddles deeper than an inch, or you’ll find yourself with cold, damp feet. They might serve you well on dry, clear days when you’re getting from place to place, but we wouldn’t recommend them as your primary winter weather footwear. They lack insulation and as mentioned above, are only waterproof to a point. For light or indoor work, yes. For construction, definitely not. While these boots breathe well and are comfortable and supportive, there is some doubt as to whether the rubber outsole can hold up to rugged hiking. For extreme hikers, these would probably not be good boots to use, but for less strenuous trails they’d work just fine. As mentioned before, buying these boots online can be a little tricky. Here are some tips on how to go about it:. 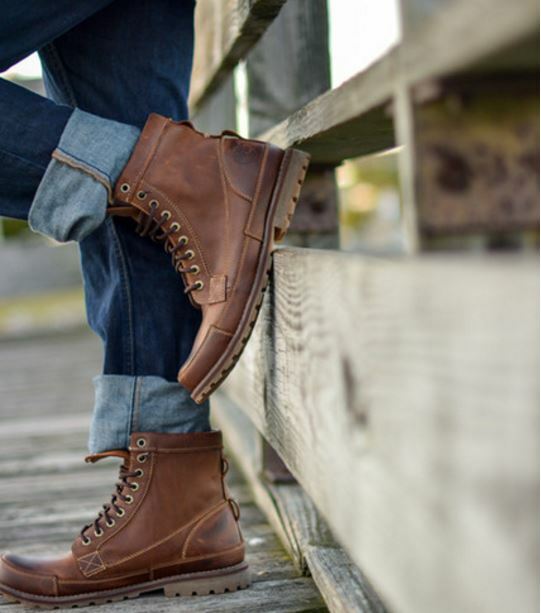 Where to Find Them: Timberland has an online store that shipps in both the US and internationally. Amazon is another option, with the bonus that you might find cheaper prices. 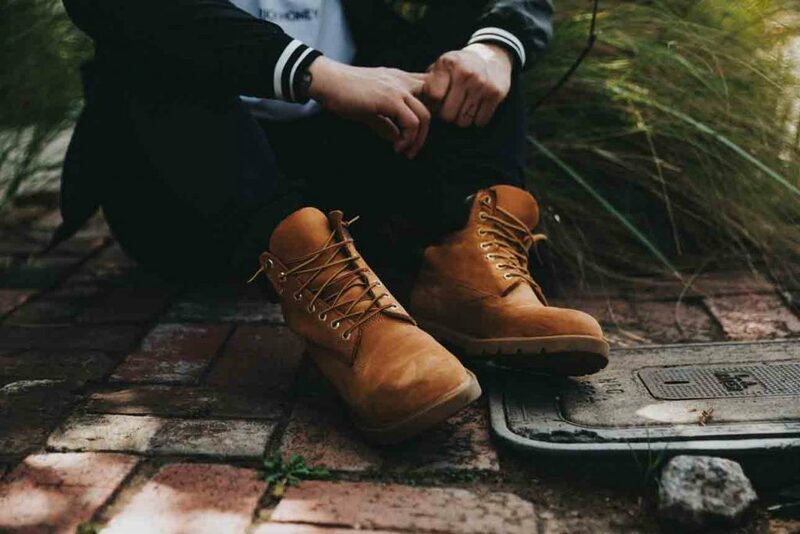 Delivery Times: Timberland offers free 3-day shipping in the US on all of their merchandise, and also features free returns. If you’re going through Amazon Prime, you automatically get their free 2-day shipping and the Amazon return policy. Other sellers who use Amazon as a platform to sell their product may take longer to get your purchase to you. 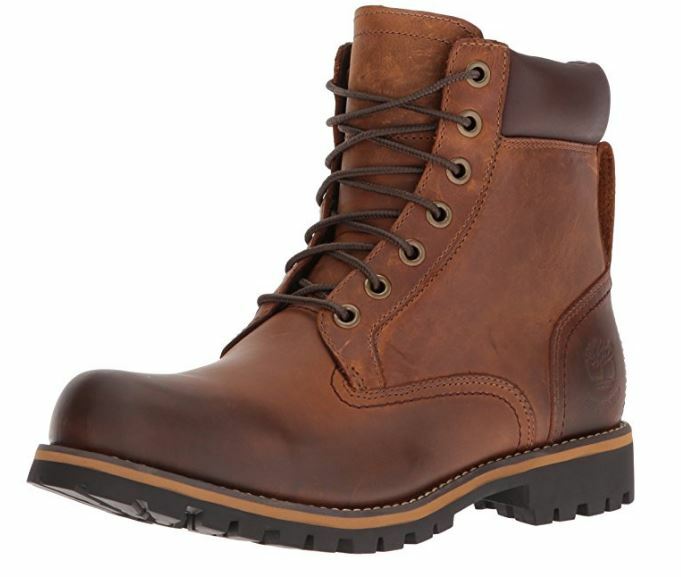 Guarantees and Tracking: While Amazon and similar online retailers generally have a good track record for delivering quality product, Timberland offers package tracking and a limited warranty on their boots. They also provide a customer service call line Monday-Saturday. Finding your Fitting: Timberland recommends taking your normal sneaker size and going down one for your boot size. However, these boot sizes seem to vary for every person, and it might be worth it to go to a store and try on some Timberland boots and see how they fit your feet. 1. 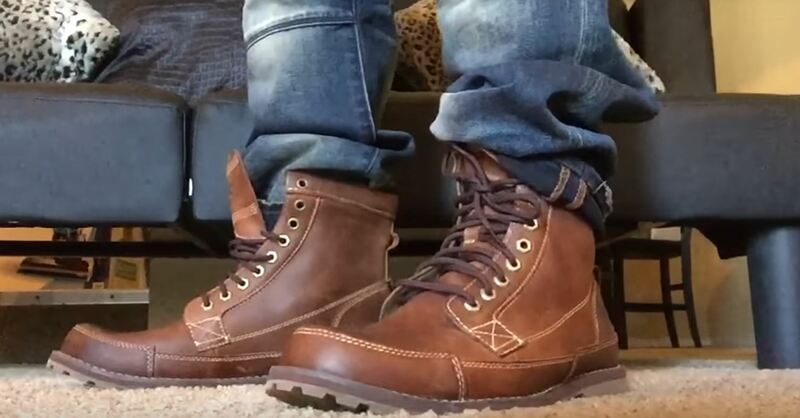 Use a leather wax like Timberland Waxium. 2. Apply wax to clean and dry boots with a dry cloth. 3. Make sure to work the wax into the leather. 1. 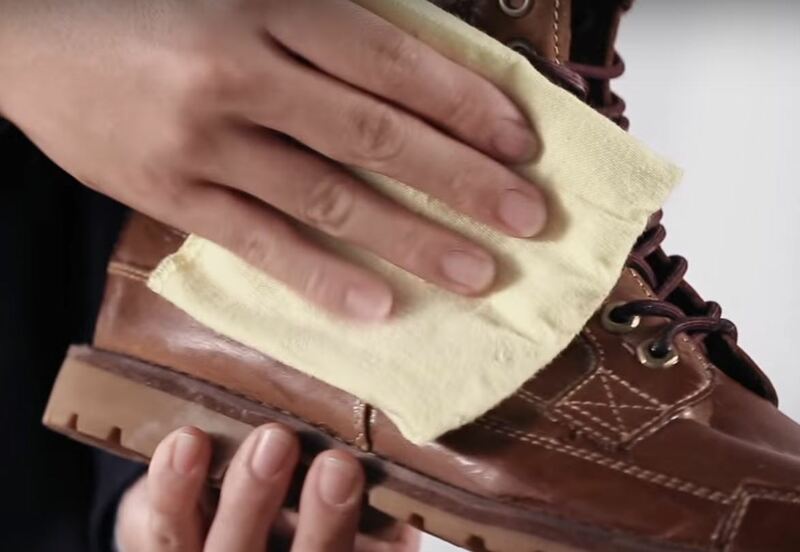 Use a leather cleaner like Timberland Boot Sauce Cleaner. 2. Squeeze a little gel onto the sponge applicator and work onto the dirty areas. 3. Wipe away excess gel with a clean cloth and let dry. 1. Use Timberland Boot Sauce Conditioner. 2. Squeeze some cream onto the sponge applicator and work it into the leather. 3. Buff with a clean cloth until your boots shine to your satisfaction. 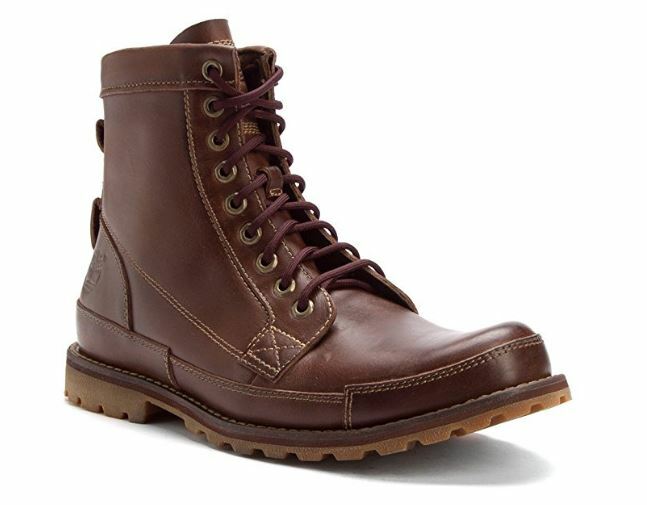 This boot has a lot of similar qualities to the Timberland Men's Earthkeepers 6" Lace-Up Boot, like the full-grain leather and recycled PET lining and outsoles. In addition, the upper leather has been treated with waterproofing, and a waterproof membrane has been added to the design. There is also a padded collar added to the top of the boot, for more comfort. 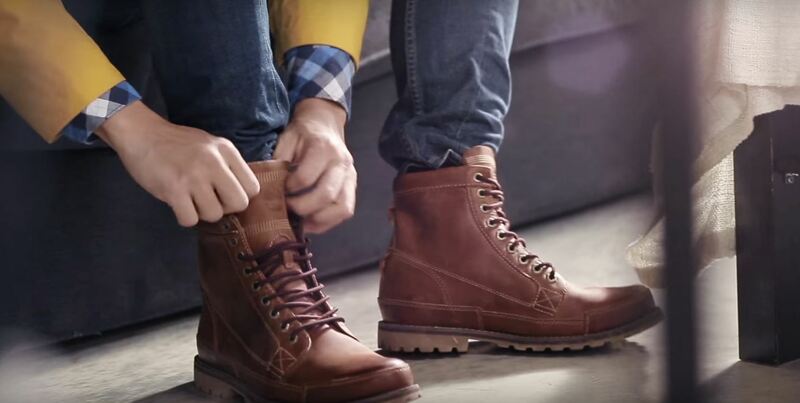 Timberland Rugged boots weigh more than the Earthkeepers Lace-Up, but they’re also warmer and the waterproofing allows them to be more versatile for outdoor wear and work. They’re a bit more expensive, but you definitely get more boot for your money. If it’s the look you don’t care for, but you otherwise like the sound of the Earthkeeper Lace-Ups, consider the Earthkeepers Original as a good alternative. These boots provide all of the same useful features and pricing as the Lace-Ups. Unfortunately, they also share some of the common complaints, such as the poor longevity and broken stitching. If you want a completely different design, but still seek the same comfort and footbed support, check out the City Chukka boot. The stylish design makes them fit with any outfit, and the same support technology as found in the Earthkeepers continues to provide exceptional comfort. The shaft is 4” tall, with a two-lace cross design rather than full lace-up. It still features eco-friendly parts and good-quality leather, with an additional slip-resistant outsole. These boots are definitely meant entirely for fashion and casual wear. The price of these boots is a little lower, which makes them that much more appealing. There are also no complaints about the shoe’s longevity, which may be the best part about this boot! If you’re looking for a comfortable, stylish boot that will get you through a long work day or just to walk around town, we definitely recommend the Timberland Men’s Earthkeepers 6” Lace-Up Boot. The ankle support and stability can be a godsend for anyone going on a long adventure through a city or traveling across the country. These boots are certainly worth looking into if you have more casual purposes in mind. However, if you’re looking for something with a bit more durability and that can withstand the elements, we recommend looking at Timberland’s more rugged boot styles.